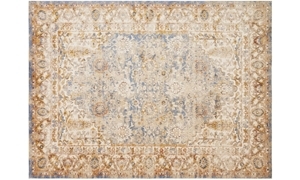 8' x 11' stain resistant blue rug power-loomed of 100% polypropylene. Part of the Magnolia Home by Joanna Gaines collection. Weathered patterns, farmhouse colors, and a smooth feel combine in the Trinity Collection for Magnolia Home by Joanna Gaines. Power-loomed of 100% polypropylene for strong durability, each piece is highly stain and fade-resistant, making Trinity the smart choice for high traffic rooms. 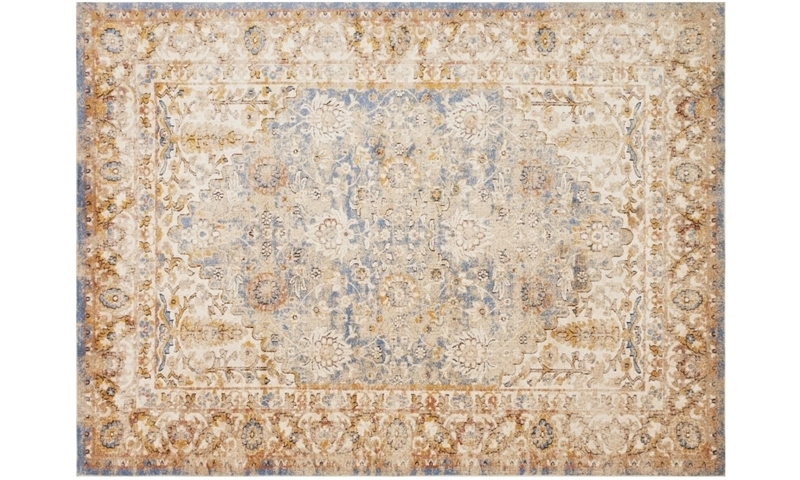 5' x 8' stain resistant blue rug power-loomed of 100% polypropylene. Part of the Magnolia Home by Joanna Gaines collection.